Are you in pain? Feeling powerless, confused, worried? Do you seem to be under constant stress? Indecisive? Stuck? Directionless? Does your work life balance need a major correction? Do you feel unheard or ignored? Are you lacking creativity and insight? Are you being knocked off balance by life? If you answered yes to any of these questions then learning Reiki can help you. 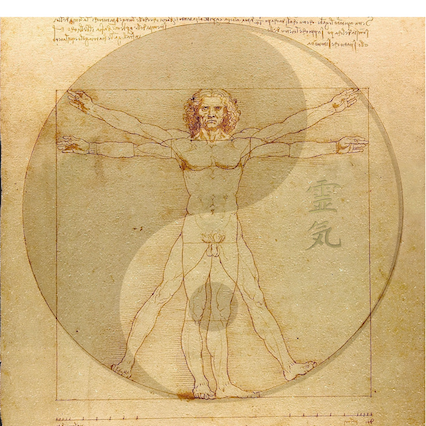 Learning Reiki can help you to recover balance in yourself and your life. Reiki is so simple to learn that anyone, including children, can learn and use it help themselves and others. Reiki is as natural, safe and as easy as resting your hands on your tummy while having a cup of tea. The attunements you receive during a course and your self-practice will lessen your anxiety, tendency to worry by enhancing your inner peace and calm. In part, this is because you will be better mentally, emotionally and physically balanced. You will be better connected to your true-self and therefore better able to manage your day to day life. You will have more energy. Learning Reiki is a journey of self-discovery and self-empowerment. When you learn Reiki 1 your victim status is revoked and you are empowered to take responsibility for all aspects of your life, including thoughts, feelings and relationships. Confidence is restored. Practising Reiki is to practise the art of self-healing. This allows you to connect to your body, mind and soul and listen to their messages. Your inner compass is recalibrated, allowing you to move forward letting go of baggage that no longer serves a useful purpose. During Reiki training, it is quite common to have self-insights of amazing clarity. Fears, which are usually an illusion of the mind anyway, can evaporate. Reiki encourages the identification of fear and that in itself will lessen fears’ grasp on you. The clarity that allows you to identify fear also enhances your creativity and reinforces your trust in your intuition. We all have “intuitive” gifts and Reiki will help you uncover and use them. As well as enhancing your “soft-skills”, Reiki is a wonderful natural pain reliever. offering Reiki to an area of pain will often relieve it instantly. Learning Reiki is a wonderful gift of self-healing that you can share with others in your life, providing healing and stress reduction during life’s challenges. Although Reiki 1 focuses on self-healing – whether that be pain or stress – you also learn to offer Reiki to others and realise the significant benefits of doing that for you both. learn how to produce, recognise, and play with the Reiki energy. learn and practice how to offer Reiki self-treatments. learnt and practised a method of offering Reiki to others. a basic understanding of the endocrine system and its effects on our health. learnt ways that Reiki can be used to ease your way through everyday situations. gained a basic understanding of the seven main chakras and experienced your aura. learnt the ( brief! ) modern history of Reiki. learnt and practised another 3 Reiki treatments to offer others. A total of 5 different methods are taught. learnt how to offer Reiki first aid. received a further three Reiki I attunements and a Certificate for The First Degree in the Usui System of Natural Healing (Reiki level 1) and a Reiki Level 1 manual. Reiki can be learnt by everyone one irrespective of gender or creed. No prior energy ‘healing’ experience is required to learn Reiki. You will be self-healing within two hours of starting the course. Practical Reiki is run over two days on consecutive weekends – usually Saturdays. Courses are held at the ABITZA Cafe and Healing Centre, 56-58 Main St Upwey. Next Reiki I course is October 15th and 22nd , 2016. Investment is $275 for the 2-day workshop, notes, certificate and free followup Reiki treatment.